There’s a good thing and a bad thing about the Internet and it’s one in the same: anonymity. While you can chat with people online about your favorite team or TV show without them knowing your name is nice, purchasing a DVD or team pennant from these same unknown chatters could lead to trouble. Some people create fake Internet accounts just to lead a double life more exciting than their real one but others are more sinister and want to swindle you out of money or crucial information. Internet scams are almost endless from a grandson stuck in a Turkish prison to a Nigerian prince wanting to ‘borrow’ your bank account number to give you a few million dollars. Make sure you follow the steps to identify fake Internet accounts so you don’t become a victim of the web. Depending on the type of fake Internet account a person falls prey to, the consequences can be horrifying. Divulging information to an anonymous source could result in embarrassment, harassment, losing money and even worse in some situations. Some people might be hesitant to ask dozens of questions of somebody they met online for fear of losing their trust but it’s well worth the alternative. Likewise, if an online business you’re purchasing from is truly legitimate, they’ll have no problem answering any safety concerns you may have. Fake User Reviews – Even a seemingly perfect product such as Wild Cherry Tab Soda has its detractors so beware of product reviews that are overly positive. There’s a fine line between companies choosing only to promote good feedback and writing their own beneficial reviews. Generic User Names – It’s ironic that people who create fake Internet accounts take the time to research your interests and infiltrate your friends list but don’tcreate legitimate user names. Most ‘real’ Internet users want a name that represents their personality and Guy_123456789 just doesn’t have personality. Inactivity – Most online accounts will enable you to click on a user name and view their activity on the site. A profile with only a day or two of activity with none for an extended period of time is probably a fake account. The biggest breeding ground for fake Internet accounts is Facebook. The shear number of users alone makes it a target for scammers,as does the painstakingly easy method to create a fake account. Here are some things to look for to detect a fake Facebook Internet account. A Beautiful Woman – Not saying that beautiful women aren’t on Facebook, it’s just that they probably don’t want to be your friend. A staggering 90% of fake Facebook accounts are female as they use their sexuality to lure vulnerable gentleman callers into visiting their website or sending them money. You’ll notice a fake Facebook account has solely guy friends. Disappearing From The Face Of The Earth – If it’s one thing we know about people on Facebook, they tend to overindulge information if anything. Fake Facebook accounts on the other hand hardly ever update their status once you’ve accepted their friend request. Becoming your friend alone gives them limited access to your information, which they seek more than your friendship. Too Much Like You – If you’ve found the perfect random person online who likes all the same things you do and has similar crazy stories, it’s likely they’re fake. In this case however, the fake Facebook account isn’t trying to scam you for money, they’re likely an ex or a cop who wants to spy on you. If you give too much information to these random soulmates, you may be digging your own e-grave. Facebook account protection starts at home or on the device that you use to access Facebook. There is some great software out there that will protect your computer and ensure you have a safe browsing device. 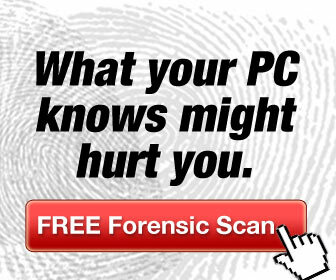 You can get a free scan for your computer from PCMatic, the highly awarded all in one software. One thing that’s hard to discern when it comes to detecting fake Internet accounts is when the solicitation comes from a trusted email or Facebook profile. Much like in the movies when a person has to decide who’s real between their friend and a robotic clone, you must choose whether or not to take up your friends email ffer for sexual enhancement pills. What’s likely happened is that your friend’s legitimate account has been taken over by hackers who are lurching off his trusted contact list. Call your friend on the phone before taking him or her up on those limited offers while supplies last. The best thing to do if you suspect a false Internet contact or fake Facebook account friend request is to simply ignore it. Sometimes even responding with a ‘no thanks’ gives the person behind the account proof of life that you’re an active account. On the other hand, if you believe this fake account could pose a threat to others, report them to the site where they’re initiating contact. On a very rare occasion, you’ll be spurning a gorgeous woman who has a world of things in common with you – but if you love someone delete them freely and…ah to be honest she’ll probably never come back. I received an e-mail from a friend, saying he was on a trip to mexico with his wife and kids and was robbed of his money and passport. Asked if I would help him by sending money. It did come from his e-mail address, but the “reply to” showed his name with the O’s replaced with zeros. Plus I had just seen him the night before in our town, and he is not married, and his kids are grown and out of state. Great article friend 🙂 Actually, recently i had been getting many messages from unknown people that seems to be spam completely. I don’t know what Facebook authorities are doing to stop fake accounts. I still report the ones who are not able to reply in proper manner! Thanks for the great article..